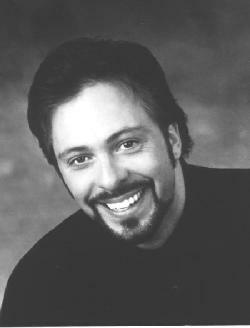 After having lived in London, Paris, Italy and New York, 42-year old baritone Gino Quilico now calls Montreal home. Quilico was in Montreal last August for the launch of his first solo album, Le Secret, and for the Opéra de Montréal’s announcement that Quilico would sing the role of Iago in Verdi’s Otello during the 1999-2000 season. La Scena Musicale met Qulico in his Westmount studio before he headed south for a month of Escamillos in Bizet’s Carmen at New York’s Metropolitan Opera. LSM: How did you start your singing career? GQ: My father Louis Quilico is an opera singer, and my mother was a concert pianist so there was always music in the house. Till about the age of fourteen I listened to classical music, then I got interested in pop music like every teenager. I quit school when I was 16 and went to work in renovation, refinishing floors, unloading Bacardi rum barrels from freight trains, gardening, painting. I even worked in a coal mine. I played the guitar and sang in a few nightclubs, but my voice was very untrained. At 19 or 20, I was trying to decide what my future would be. My father said the opera was hiring chorus extras so why not try that. When I went on stage, I really got the bug. I asked my parents to be honest with me and tell me if I had potential. They said yes, so I devoted myself to singing. LSM: Tell us about your vocal training. GQ: I had the luxury of having two teachers, my mother and father, at my disposal all the time. It was more like an apprenticeship, living with artists and learning my trade. My first six-months training with my father there was no sound production, just technical aspects of opening the throat. The second six months was breathing. So the first year was just preparing the body, the throat, the vocal cords and breath control. After that came sound: one sound, two sounds, and so on. After six months of sounds, we started singing arias. After two years of almost daily study, I was completely prepared. The body is the singer’s instrument and my whole body was tuned up. At that point, I entered the Opera School at the University of Toronto. I did all the non-vocal training such as acting, make-up and mime at the university. But no theory: I never got a formal degree. I don’t study with my father anymore. I now work with a few coaches, they don’t touch my voice, we just work on interpretation. LSM: Tell us about your early career in Europe. GQ: My first big break was when I was 24. I was a student in Paris and signed on at the Opéra de Paris as a house member for three years. I lived in a tiny room with roaches and a shared bathroom. I kept my food out on the windowsill. I was poor, but I would have sung in the metro for money if I had to - and let me tell you, a lot of today’s stars did come up through the metros! I once wanted to hear Domingo sing Carmen at the Opéra Comique, but since I couldn’t afford a ticket I sneaked in and lay on my stomach between the rows so the guards wouldn’t see me! If you really love something, you are willing to do stupid things like that. When I got famous I was the hot young baritone, and everyone was going "Wow!" — it sort of turned my head. At the time of the Orfeo movie around 1979 or 1980, my agent booked me in a terrible hotel in Geneva, a real dump. I said "How dare they book the star in a dump!" and I kicked up a fuss. But then the place reminded me of my first apartment in Paris, so I stayed and decorated it with posters like I had done as a student. That brought me down to earth. I still expect things to be professional and correct in matters like costumes that affect my art, but I’m not a Divo. LSM: Why did you return to North America? GQ: I lived in Paris for fourteen years, but then that summer of the bombings I witnessed an explosion. A car blew up and forty kids were injured. If I had been there fifteen seconds later, I would have been dead. I was traumatized because I had an infant son and a pregnant wife to support. I decided I couldn’t take risks like that. So we moved to London and two years later a bomb went off at Harrods! Europe was getting too aggressive, too dangerous, so I said "I’m out of here." That’s why I left Europe, not for career reasons. LSM: Do you consider yourself a Montrealer? GQ: Montreal definitely feels like home. My grandfather came here from Italy and opened the first bicycle store in Montreal on Rue St-Denis. My father and mother were born here. I can work out of Montreal because it has good airports. It is also a good place for my children, who go to a private English school. As for Bill 101, my wife was educated in English in Toronto, so our children can be educated in English. I want them to have English and then French and other languages if they want. If I didn’t have the right to choose which language our children learned in, I wouldn’t be very happy. English is an important language to have these days. LSM: What about the controversy surrounding your withdrawal from the Opéra de Montréal’s Eugene Onegin? GQ: There has been a lot of confusion about that incident. In fact, I cancelled because I didn’t feel ready to sing the role. I had about one year to prepare, and when I realized that there was no way I could pull it off in a year I cancelled - not at the last minute, but a year before the show. It wasn’t that I didn’t want to sing it. I did, but a title role takes so much work, especially when it is in Russian, which is hard to learn. I never take the risk of being unprepared. That wouldn’t be professional or fair to the audience. LSM: You have complained that Canadian opera companies don’t hire enough Canadians. GQ: Yes, I said that, but I really intended my remarks to be taken generally, not about any particular institution. Canada has lost so much talent abroad - singers, actors, painters, poets - that we are impoverishing ourselves. It is really a national problem. However, my words were distorted by the press. I really don’t remember saying half the things I was quoted as saying. Journalists often work their own opinions into interviews. LSM: Yet the Opéra de Montréal has passed you over for several of your most famous roles, such as Don Giovanni and Figaro. GQ: I don’t really know what the Opéra de Montréal has been staging, but I couldn’t do most of them anyway due to scheduling conflicts. There are lots of operas everywhere I am not asked to do. It’s not like every time there is a Don Giovanni it has to be me. It’s hard to find time to do everything you want to do. We were lucky to find a slot in 1999-2000 for the Opéra de Montréal Otello. LSM: Some people say you may have accepted a lower fee than usual in order to sing at the Opéra de Montréal. GQ: The Opéra’s offer was quite respectable. LSM: You sang at the Opéra de Montréal Gala last year for free? GQ: Yes, that was a complete benefit. LSM: Did you do that Gala to make peace? GQ: Yes, it was a gesture. LSM: Tell us about the evolution of your voice and rep.
GQ: I started with the lyrical rep, a bit of baroque, a lot of Rossini, a lot of French music, a couple of world premieres of new compositions. 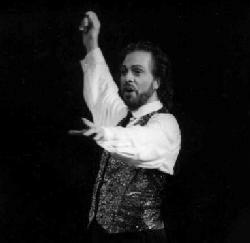 Now I’m sticking mainly to my strong roles and moving toward the Verdi roles, which is the top of a baritone’s career. Eventually it would be great to sing Verdi all year long, but I’m being careful. Men shouldn’t sing Verdi in their thirties unless they are born with the Verdi sound, otherwise they get tired and wobbly. I do about forty or fifty performances per year and I prefer long runs - six shows or more. I once did 15 Otellos in Germany and that was great because it gave me a chance to get into the character until it became second nature. LSM: Which roles do you want to keep in your rep as you move into Verdi? GQ: Don Giovanni, Barbiere, L’Elisir; Marcello in La Boheme is a great part I’d be glad to sing forever. Onegin is new, but I want to keep doing that one. Once I am really into the Verdi, I probably won’t go back to Rossini. For the last four years I’ve been getting into recitals. Recitals are great because they are intimate and personal. LSM: Any advice for young singers? Gino Quilico will be launching his new solo album Le Secret at a record signing at the HMV Megastore (St-Catherine St.) in Montreal on October 18 at 2 p.m.